To be clear, I would not recommend a short of Netflix, Inc. (NASDAQ:NFLX) stock for a number of reasons. Netflix stock isn’t cheap, and some hardy souls are making that trade. Nearly 5% of the float of NFLX stock is sold short at the moment. I do think Netflix probably is overvalued. But its long-term performance likely will come down to its big bet on content, as I argued last month. And ahead of Netflix earnings next week, a short looks outright dangerous, given the stock’s recent history of soaring after those earnings releases. Still, for both NFLX bulls and bears, it’s worth considering what the worst-case scenario could be – and how Netflix stock could get there. In what clearly is a more nervous market, there is a path for NFLX stock to take a deep dive. Netflix has made a notable change in its business model over the past few years, transitioning from being just a distributor of content to a producer of content. In fact, Netflix is headed toward being the biggest producer of content in the world. Indeed, as Vulture pointed out earlier this year, Netflix is planning to release 80 movies this year. The six largest U.S. studios last year combined put out just 94. 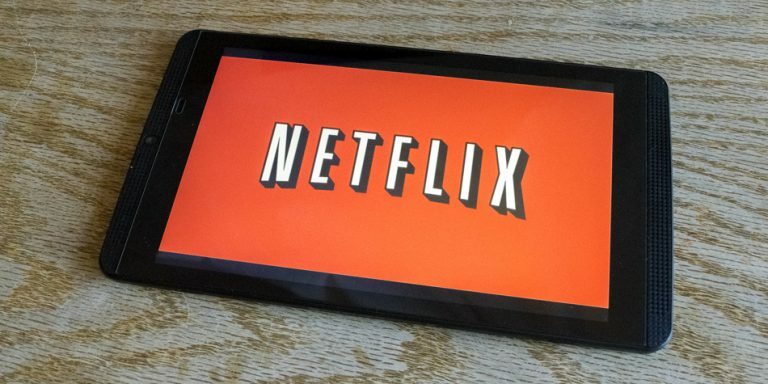 Netflix is spending some $8 billion this year – most of it borrowed money. And an apparent interest in a Los Angeles billboard owner shows the company’s spending isn’t just limited to content. The company is offering $300 million for that outdoor advertising company, on top of a likely ~$2 billion marketing budget this year. That spend is why Netflix is sharply free cash flow-negative. And it’s being funded by rising levels of debt. But as Adam Levy of The Motley Fool wisely put it, Netflix is buying content, not renting it. And it could conceivably do the same with its marketing efforts. The upfront costs are hurting free cash flow now. But Netflix can monetize that content for years – with no additional outlay. What the 374% gain in NFLX stock over the past three years shows is that investors see those investments as wise. But what if that sentiment changes? Netflix already has struggled with its ‘blockbuster’ films this year, with both Bright and Mute seeing poor reviews. If investors stop believing that Netflix’s content is that good, and thus that valuable, where does that leave Netflix stock? It very well could leave NFLX in a precarious position. As Dan McCrum pointed out at FT Alphaville, Netflix debt is junk-rated. And high-yield markets can tense up – or even close off – in times of uncertainty. Should Netflix need to go to the credit markets at the wrong time, its borrowing rates could skyrocket, which likely would undercut Netflix stock as well. But there’s a more modest risk to Netflix stock from the content spend as well. Investors are valuing NFLX stock as if the $8 billion spent on content in 2018 – along with the $6 billion spent last year and the $5 billion the year before – are investments that will provide returns into perpetuity. The great irony, however, is that pretty much everywhere else in the content space, investors are acting as if content is less valuable, not more. Walt Disney Co (NYSE:DIS) stock hasn’t moved in three years. CBS Corporation (NYSE:CBS) is at basically the same levels it was five years ago. Lions Gate Entertainment Corp. (USA) (NYSE:LGF.A,LGF.B) trades below where it did when it acquired Starz in late 2016. AMC Networks Inc (NASDAQ:AMCX) is bouncing off a five-year low. Discovery Communications Inc. (NASDAQ:DISCA) hit its five-year low late last year. The comparison between NFLX and these stocks absolutely is not apples to apples. Indeed, Netflix’s increasing dominance is a key reason why these content owners are struggling. But it’s fair to ask why long-term profits from Bright and Orange is the New Black are so highly valued by the market – but those from The Big Bang Theory or The Walking Dead are not. And if more investors start asking that question, Netflix stock could tank. Again, this isn’t necessarily what I believe will happen. But it’s a reasonable scenario. If both the equity and debt markets start to question Netflix’s content strategy, a stock trading at 70x forward EPS has plenty of room to fall back. Bear in mind that NFLX stock still is up 55% in 2018 alone. And again, I don’t think a short of Netflix stock is wise at the moment. Q1 earnings next week could be strong, given a comparison to a somewhat disappointing quarter a year ago. Shorting on valuation is always dangerous. And even if the content risk plays out, it will take time for the market to change its tune on NFLX. Still, though I’ve wrong before on NFLX stock, it looks like a risky play at these levels. If Netflix is right on content, the stock has more upside. But that means that Netflix essentially has to be the largest, and the greatest, content producer in the world. And that’s an awfully big ask. As of this writing, Vince Martin is long shares of AMC Networks Inc, and has no positions in any securities mentioned. Article printed from InvestorPlace Media, https://investorplace.com/2018/04/netflix-stock-go-wrong/.